The Patient Lift Designed For Home Care. The Titan 500 Overhead Patient Lift is an electric lift system for the home designed to aid those with limited mobility. The unique freestanding system is a practical and affordable alternative to ceiling track lift systems and floor-based Hoyer hydraulic lifts. The system allows a single caregiver, without fear of injury, to safely transfer a patient out of bed and into a wheelchair, shower chair or portable commode. Protects From Injury. Single Caregiver Operation. The heavy duty lift motor raises and lowers the bed-ridden patient at the press of a button on the remote control, protecting the caregiver from injury. The patient remains close at hand during the entire lift process which makes for a more secure experience. The caregiver gently moves the patient into position along the overhead track. Battery Powered. Rechargeable And Reliable. The Titan 500 does not require a power outlet to run. The electric lift motor is battery powered and easily recharged. A typical recharge schedule is overnight once a week. The system will run for days on a full charge, even with several transfers daily. Charging is as simple as plugging it into an outlet or, in the case of power outage, into a generator. Freestanding Frame Does Not Attach To The Home. The Titan 500 Overhead Patient Lift can be shipped right to your home. It comes partially assembled and fully assembles in twenty minutes. The system is freestanding and never attaches to your home. It comes as a complete package including the frame, motor, batteries, remote, lift bar and sling. It is much easier to use than a Hoyer lift and sells at a fraction of the cost of a ceiling track system. Limited Mobility Does Not Limit Aging in Place. When it comes to individual care within a household, a bedroom is most often chosen as the primary care setting. Average room size is limited, usually less than 12′ x 12′ in total. With a bed and multiple pieces of furniture, the amount of space needed to properly maneuver the standard manual floor lift is extremely limited at best. 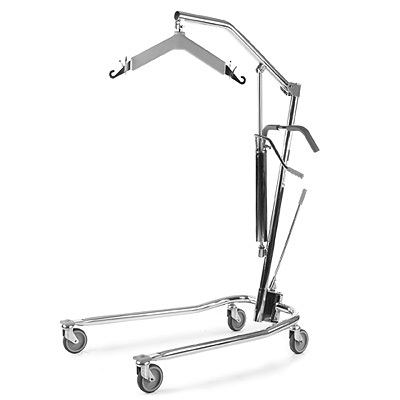 The Traxx Mobility Systems Titan 500 Overhead Patient Lift improves the quality of life for individuals with limited mobility and their caregivers. The Titan 500 is safe, reliable and extremely affordable. Due to its unique design, caregivers can lift and transfer their loved ones from bed to wheelchair and back again with ease, comfort and security without the physical strains of manual lifting. The Titan 500 is freestanding. There is no need to attach it to walls or ceilings. The lift motor is battery powered and easily recharged. The high-strength aluminum frame can support up to 500lbs. and the satin anodized finish make sit easy to clean. The Titan 500 can reduce caregiver injury, improve the quality of life and provide a high standard of care with comfort and dignity. Traxx Mobility Systems is Lifting the Standard of Home Care. For more information, visit our website, find us on Facebook or watch our YouTube channel. is ageing in place realistic? The age demographics in North America are fairly consistent between Canada and the US; our populations are ageing and a significant portion are close to or beyond retirement. This equates to more than a strain on our respective health care systems. As much as we can plan for—and design to accommodate—ageing in place, how realistic an expectation is it when elderly people choose to remain living on their own? Forbes recently published Is Aging in Place a Pipe Dream?, written by Ashlea Ebeling. As we age, we change. We move a little slower. We take our time in our actions and thoughts. Our interests may even change. We may pick up new hobbies or interests based on our physical and mental abilities. We also try to eat better, be active and remain social. These can be seen as natural and expected and we are typically prepared for and recognize these signs. As family members watch their loved ones age, there are often other signs that we fail to detect. These are signs that show that your loved one may need assistance in order to maintain their current lifestyle. These are signs of behaviors that indicate that you need to take action and make arrangements for home care. These are ten warning signs that your older family member may need help. Try and pay attention to the routines and habits of your family members and reach out and touch base to stay in the loop. Talk to their neighbors and friends if possible. Maintain access to their finances and bills. Communicating with your elderly loved one in advance can help ease the stress for both of you. Discuss their wishes and your concerns. Consider tools to address financial and medical decisions like durable power of attorney or living wills and advance directives. 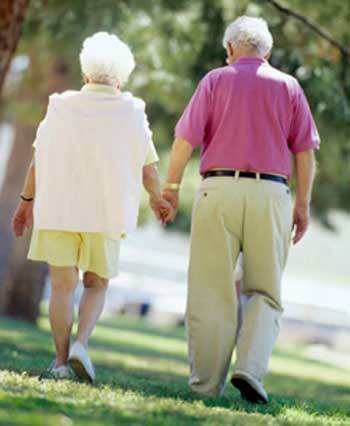 Proper preparation can help both of you to be ready for the changes that old age bring. Traxx Mobility Systems manufactures a overhead patient lift for those with limited mobility who choose to stay in their home and “Age in Place.” Our unique freestanding system fits in the bedroom, does not attach to the home and allows a single caregiver to transfer a patient in and out of bed without fear of injury. For years, caregivers have been frustrated with floor-based patient lifts. The cumbersome and unwieldly device has undergone little change in design since it was first manufactured in the 1950s. Whether they are manual or electric, this type of lift has always been designed for institutional use. The smooth floors, larger rooms and access to extra trained staff in hospitals and nursing homes make it a very reasonable solution as a patient lift. Home Health Care is creating a need for a new type of patient lift. The home presents a myriad of restrictions on the old style of patient lifts. 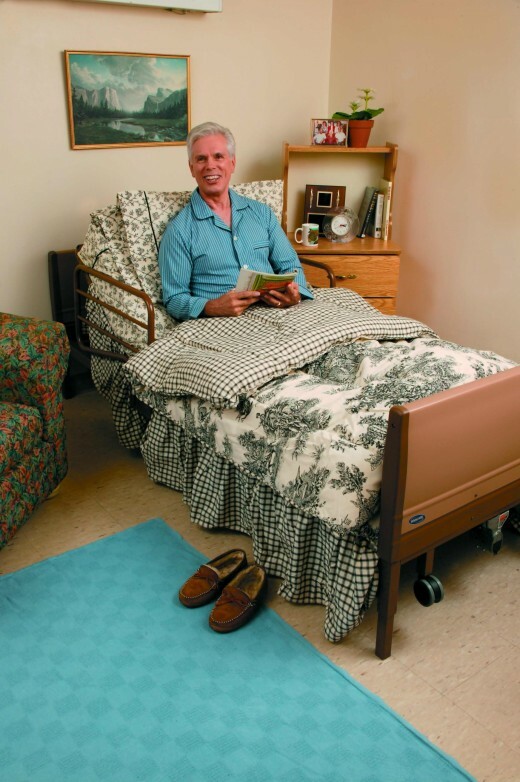 Typically, one caregiver is available to operate the device in a room full of furniture with carpeting on the floor. To get an idea of how difficult it is to use this type of lift, let’s go through the process. The lift must first be positioned above the bed. To do so, the legs must be spread to the wide lifting position and slid under the bed. The caregiver will then lift the patient, pull the device out from under the bed, with the patient at the highest lift point, and reposition the device over a wheelchair. In order to successfully transfer the patient with this type of lift, you will need a lot of space around the bed and the strength to reposition the lift with the patient in it. This can be a monumental and time-consuming task for one caregiver to perform several times a day. 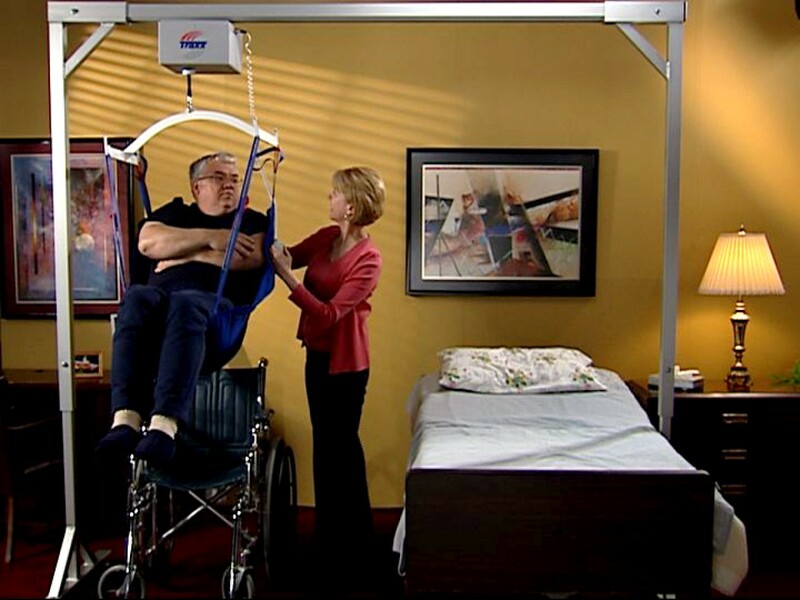 Traxx Mobility Systems manufactures an Overhead Patient Lift that is ideal for the home health care setting. It was designed to be economical, simple to use, portable and safe. It allows a single caregiver to safely transfer a patient in three minutes without the physical strain associated with a floor-based lift. The system consists of a freestanding aluminum frame that straddles the bed and leaves room for a wheelchair or other similar device. An electric motor raises and lowers the patient with the push of a button. The motor unit glides along the overhead beam on heavy duty trolley wheels when the caregiver gently pushes the patient across to reposition them. No stress, no strain. As more and more people choose to age in place and remain in their homes longer, the overhead patient lift is the ideal solution for those with limited mobility. At just under eight feet tall, the frame fits in a typical bedroom. Three different available beam lengths (8ft / 10 ft / 12 ft) allow the frame to fit over any size bed and still have room for the wheelchair, shower chair or commode. If we could see into the future, we might better prepare ourselves for it. Oftentimes, we wait to react to a change in our health or finances to make adjustments. This can lead to hasty decisions due to the inability to explore all of our options. As America’s largest generation reaches old age, these decisions can be more difficult due to the sheer numbers of people that need to access limited services. Nursing homes, assisted living facilities and senior communities will fill up fast leaving little options left for those who put off proper preparation. However, not everyone will be able to afford these options. Aging in Place is a philosophy that strives to allow seniors to remain in their regular place of residence for as long as possible and avoid the stress of relocation. The basic idea behind it is that, with some modifications to one’s home and lifestyle, one should be able to live in their own home and community safely, independently, and comfortably, regardless of age, income, or ability level. Technology can play a big factor in enabling aging in place. The four basic categories that technology can address are Communication and Engagement, Health and Wellness, Learning and Contribution, and Safety and Security. Whether you are a healthy senior who touches base with family and friends via Skype, or you have limited mobility and need a patient lift for the bedroom and a wheelchair lift for your home, technology can help you overcome those barriers. The idea behind Barrier Free Living goes well beyond making your home safe. It addresses barriers to transportation, social services and jobs as well as barriers in the home. Those with limited mobility or other disabilities may face these barriers throughout their life, and they continue in to old age. Barriers in the home for those who wish to age in place can include steps, round door handles, non-walk in showers, narrow doorways and other physical obstructions. Home modifiers make physical changes to the home to accommodate the needs of the owners. Homeowners may even move their bedroom to the largest room in the house on the first floor to avoid stairs and have room for medical equipment. New technology allows people with disabilities and health problems stay in their homes longer. Monitoring and adaptive devices can now be used in the home and can be operated by family members or home health aids. 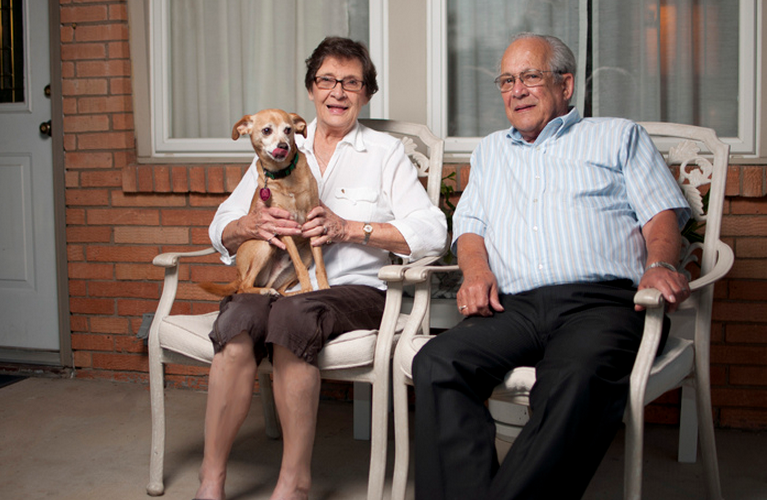 People with chronic diseases can now be treated in their home. Those with limited mobility have access ramps, patient lifts, stair lifts and electric wheelchairs or scooters. Traxx Mobility Systems has designed a patient lift system designed for the home. The Titan 500 patient lift will fit in the bedroom without attaching to any part of the structure. The systems allows a single caregiver to transfer a patient in and out of bed, or from a wheelchair to a comfy chair, with the press of a button. A sturdy freestanding frame suspends the rechargeable electric lift motor, which is rated up to 500 lbs. The motor unit gently glides along the overhead track with gentle push from the caregiver. A dignified and safe transfer for the patient and a stress-free move for the caregiver in just three minutes. 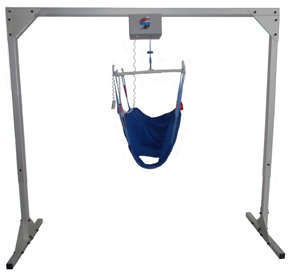 The lift system comes complete with frame, motor, battery charger, remote control and sling. It comes partially assembled, and can be fully assembled in twenty minutes. Everything you need to transfer a patient for one low price. 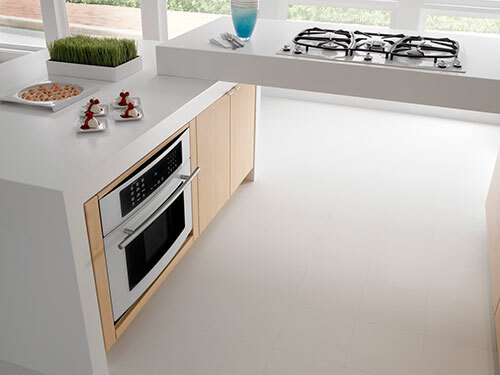 Call 855-872-8100 for a free quote. For more information, visit our website, find us on Facebook or watch the Titan 500 in action on our YouTube channel. Traxx Mobility Systems Is Raising The Standard Of Home Care!